Spiders are carnivorous arachnids that commonly prey on insects, other spiders and small vertebrates, such as birds and mice. The female species of black widow spiders, are especially notorious for occasionally killing and eating their mates after copulation. Spiders capture prey in a variety of ways. Some propel themselves from their dugouts to catch passing insects while other spiders conceal themselves under rocks, on trees or on the ground to wait for unsuspecting quarry. 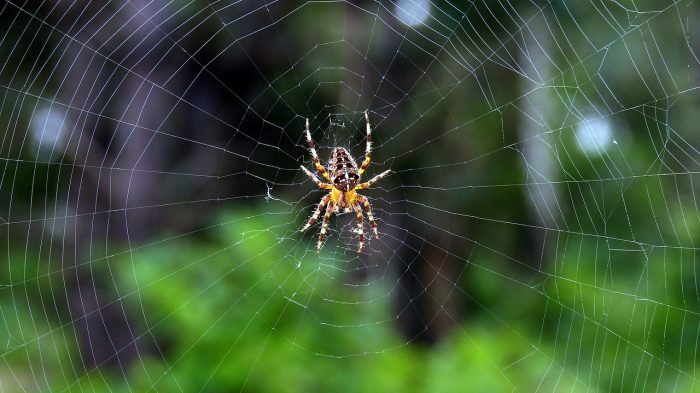 Spiders are also capable hunters and the majority of them spin webs to entangle and ensnare their prey, such as flies, grasshoppers, mosquitoes, caterpillars and beetles. Spiders release digestive fluids, which start the breakdown process even before they devour their prey.